The picture of couples fighting face-to-face is the image that many think of when thoughts of divorce arise. Motion pictures often portray divorces as confrontational, where both spouses argue over issues involving property, alimony, and child support. Some divorces undeniably become argumentative, but many couples opt for a more amicable method. This process is referred to as an uncontested divorce, and you may want to consider this option if you and your spouse believe that a mutually beneficial agreement can be reached. Find out more about this process by talking to one of our Bellevue uncontested divorce lawyers. Going through a divorce is often emotionally draining, but if both spouses are amenable to a peaceful resolution, then much of the emotional strain that accompanies the process can be eliminated. Sometimes negative emotions arise, despite the best intentions. When this happens, and staying focused becomes difficult, your divorce lawyer in Bellevue will help you maintain focus. Serious divorce issues like child support and custody, spousal maintenance, and property division will eventually have to be negotiated. 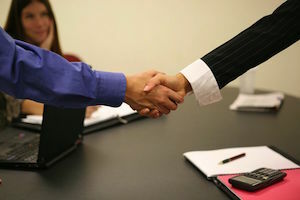 Each party wants fair treatment, so the Bellevue uncontested divorce attorneys from the Law Office of Jason S. Newcombe use their knowledge of the law to help you reach a fair agreement. Our Bellevue uncontested divorce lawyers strive to help you maintain a civil atmosphere and open discourse throughout negotiations, even if we have to tell you something you don't want to hear. This is especially helpful when emotions rise unexpectedly. Our Bellevue amicable divorce attorneys also work diligently to ensure that your divorce is finalized as quickly as possible. One of the most beneficial aspects of an amicable divorce is that you have complete control over the outcome, all while saving money. Maintaining a positive relationship with an ex-spouse is important to many of our clients, and this is undoubtedly beneficial for their children. Our Bellevue amicable divorce attorneys understand the benefits of this attitude, which is why we urge parting couples to consider this options seriously. Our Bellevue uncontested divorce attorneys know that you want what's best for your family, so our goal is to help achieve the goals you feel are most important. Our Bellevue amicable divorce attorneys are more than just skillful litigators; they are qualified legal professionals that offer you counsel as you face some of the most important decisions of your life. Are you ready to speak an experienced uncontested divorce lawyer in Bellevue? If so, contact our Washington law office today for a free consultation, and let us help guide you through this process.